While it was already known that IgE antibodies can trigger allergic reactions, scientists recently demonstrated that IgG antibodies play an active role in the severity of anaphylactic shock by unexpectedly activating blood platelets. These observations, made in mice, were complemented by data from a multicenter clinical trial carried out by the "NASA" consortium and sponsored by Bichat Hospital (AP-HP). This trial monitored patients presenting with perioperative anaphylactic shock. Patient blood samples similarly seemed to contain fewer platelets and showed signs of activation during an episode of anaphylactic shock. 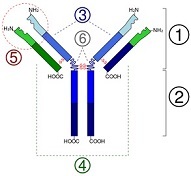 The lead author of the study, Friederike Jönsson, notes that "this work, which reveals the key function of platelets in anaphylactic shock, demonstrates the potential of exploring therapeutic interventions that target platelets as means of limiting the severity of anaphylactic shock, while also paving the way for improvements to diagnosis by characterizing the role of IgE and IgG antibodies."